The Prodigy are known for their infectious basslines and hard-hitting breakbeats and encapsulate UK rave culture with their no holds barred brand of Big Beat EDM. The Prodigy’s newest album No Tourists is a modernization of their famous sound. The music is still fast, heavy and aggressive but with a modern EDM flavor. Hints of dubstep and FM bass growls fill the air around chunky breakbeats. This formula is tried and true but wears a little thin by the end of the project. “Need Some1” features stabbing synths, heavy beats and big bass. Every 16 bars or so the predictable chopped vocal sample cuts above the energetic thick wall of sound. “Light Up the Sky” is another banger, this time featuring some groovy acid bass and pretty cool broken up drum pattern. “We Live Forever” is another lightning fast big beat barn burner. The pitched up repetitive vocals are kind of annoying but The Prodigy stick to their strengths, play it safe and deliver another synth-heavy popping club track. 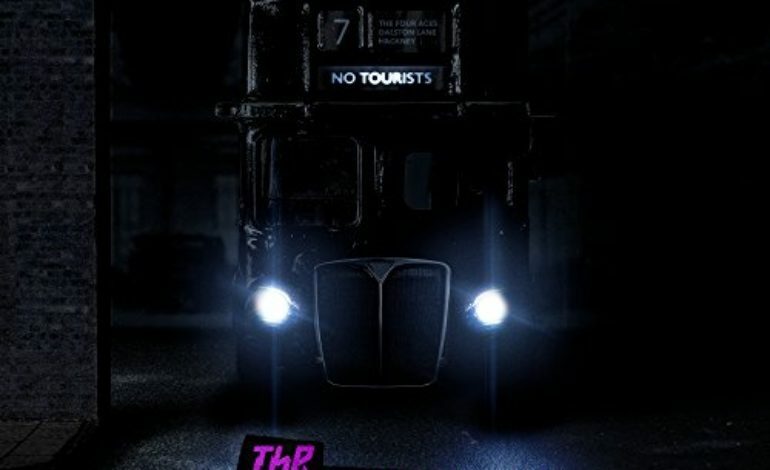 The title track “No Tourists” slows the pace down but still feels big and bombastic. At this point in the album, the sound palettes are feeling repetitive. The Prodigy can’t seem to get away from the same synth plucks and digital bass growls. And the sparse vocals adds some minor variation but doesn’t really do anything to the tracks to make them stand out; every vocal melody is the same, and the processing on the vocals are obnoxious at times. The result of this is that every song sounds like the last, but with a different set of vocals that don’t say anything interesting. The tracks are loud, aggressive and feel futuristic, the compositions are well done and The Prodigy definitely know how to build a cool track. It’s just when you line 10 of them together for an album, things start to feel pointless. Sounds feel recycled and the overuse of vsts and similar bass sounds keep the album from feeling like a polished artistic venture. The Prodigy make well produced music but their vision for their own art is surface level club music, and that’s probably good enough for their fans.